OYO 8822 Sector 31 is a decent and standard property located in LIG Colony, Sector 31, Sector 31, Gurugram. The nearest metro station is Huda Metro Station. The property is located in the center of Gurugram and henceforth all the places are easily accessible from the hotel. 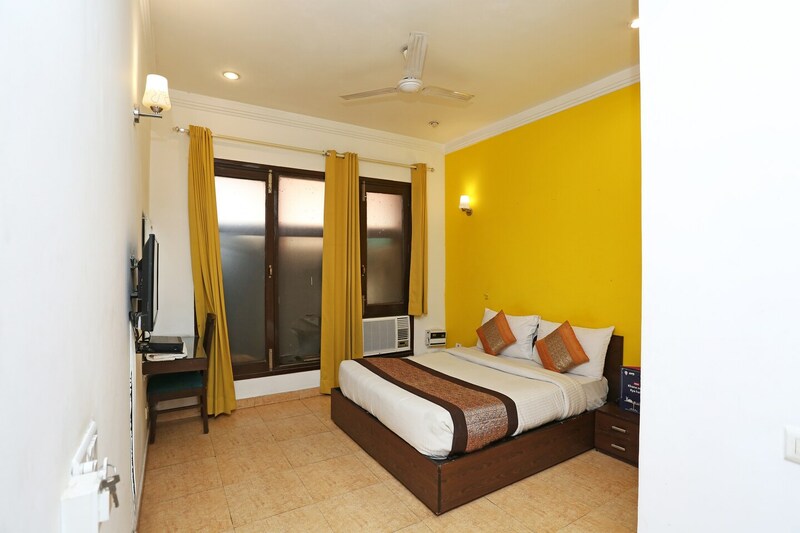 The decor is classy and has a modern outlook.Each room is equipped with free Wi-Fi, AC, and TV. The hotel offers power backup, parking facility, laundry facility and has CCTV Cameras for Surveillance. The restaurants in the vicinity are Bikkgane Biryani, Om Sweets & Snacks, Bakers Oven, The Kathi Rolls, and Tasty Tweets. The nearby shopping hubs are Star Mall, Coupon Dekho, Satyam Plaza, NK Prosales Pvt.Ltd., and Electrolux Home.